We are a small but growing shop specializing in plumbing repair and remodel as well as water heater installation and repair. We value our customers and strive to offer them the best service at a reasonable rate. Whether you need a residential or agricultural irrigation system, well pumps, centrifugal irrigation pump, or commercial pump system, choose the local experts. Loomis Plumbing has been serving the Central Oregon area since 2005. As a small family-owned business, we understand the importance of honesty, integrity, and quality workmanship. Our reputation is a reflection of our family, so how our customers feel about us is very important. We take pride in our commitment to provide our customers with fast response times, competitive rates, and reliable service. These values are the cornerstone of our business and the reason for our success. Whether you are looking to upgrade your home or business at your leisure or find yourself with a plumbing emergency, we are here to help. Please do not hesitate to give us a call... we will work diligently to show you why we are one of the best plumbing companies in the Central Oregon area! 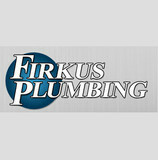 Since 1972, Firkus Plumbing has been providing superior plumbing and heating services in Central Oregon. We are proud to be a part of building this beautiful area we call home. We’re a family owned company and take great pleasure in supporting the local community we serve. In 2010, we made the decision to join forces with another outstanding family owned plumbing company and merged with Oregon Cascade Plumbing & Heating. This may have changed the area we serve, but not our dedication to our customers. At Demand Plumbing we have the experience to deal with all your plumbing emergencies services. Demand Plumbing is located in Bend, Oregon and serves Bend, Redmond, Prineville, Sisters, Sunriver and all of central Oregon. With over three decades of plumbing experience , we remain the area’s leaders in the professional plumbing services. Our plumbers are always courteous, dependable, and friendly. Open 24/7, seven days a week. Demand Plumbing is there to help no matter when your plumbing issues arise. Our plumbers strive for 100% customer satisfaction and they are committed to provide our clients with the highest quality of workmanship and plumbing service possible! Founded in 1977, Severson Plumbing & Mechanical Inc. has been serving Central Oregon with quality plumbing services including new commercial construction as well as service and repair. Owners Dave and Elaine Severson attribute the success and longevity of their business to the values they consistently apply regardless of downturns in the local economy which make maintaining quality of business more difficult. 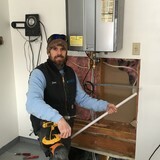 Deschutes Plumbing is a family-owned, full line plumbing business, serving Bend, Redmond, Lapine, Sunriver, Sisters, and all Central Oregon for over 16 years. Our company is large enough that we can be flexible in scheduling jobs, and are on the job when we say we are going to be. We are one of the few plumbing contractors in the area set up to handle commercial and residential remodel and service work, as well as new construction. We can address any plumbing problem. 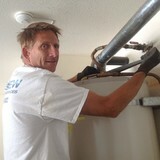 We install, replace and repair water heaters in Bend. We strive to deliver prompt, accurate, quality work with the utmost respect for you and your home or business. Our journeymen are highly skilled and very knowledgeable Bend Oregon plumbers and are committed to maintaining our high standard of quality. A plumbing contractor handles the installation and repair of water, sewage and natural gas pipes throughout a home, as well as interior and exterior faucets and fixtures. Plumbing contractors are also trained to work with water mains, septic tanks, laundry appliances, water heaters, sump pumps and other plumbing and pipe systems. Because plumbing repair work is done largely behind walls and beneath floors, some plumbing companies can also patch or replace tile, stonework and other surfaces. Although some Black Butte Ranch plumbers are generalists, others specialize in specific areas; a 24 hour emergency plumber will handle urgent residential repairs, while others may be more skilled in remodeling, natural gas lines, overhead sprinkler systems and more. Find a local Black Butte Ranch plumber on Houzz. Narrow your search in the Professionals section of the website to plumbing contractors in Black Butte Ranch, OR. You may also look through photos of Black Butte Ranch, OR projects to find a licensed plumber who has worked on a project similar to yours. Here are some related professionals and vendors to complement the work of plumbers: General Contractors, Septic Tanks & Systems, Kitchen & Bath Designers, Kitchen & Bath Remodelers.